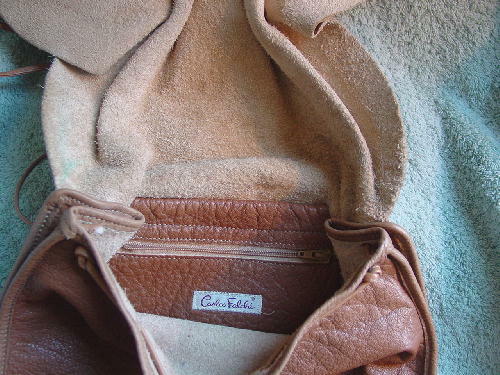 This light brown with a touch of camel color leather purse is by Carlos Falchi. 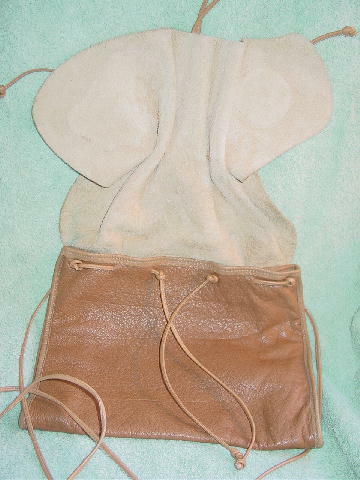 It has a foldover large flap closure. 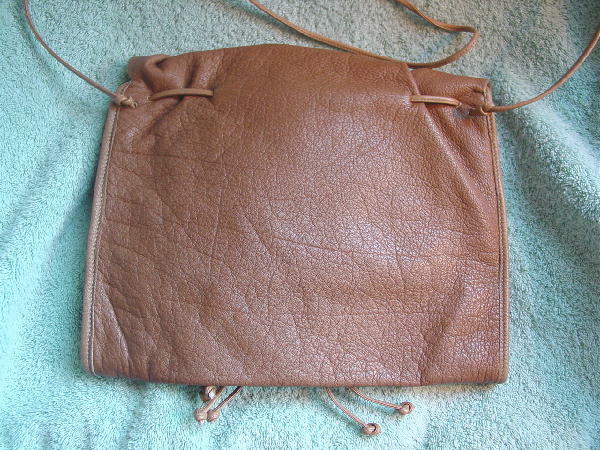 There is a 53" long by 1/4" wide shoulder strap, and there are four decorative front straps on the lid and two dangling from the upper inner front side. 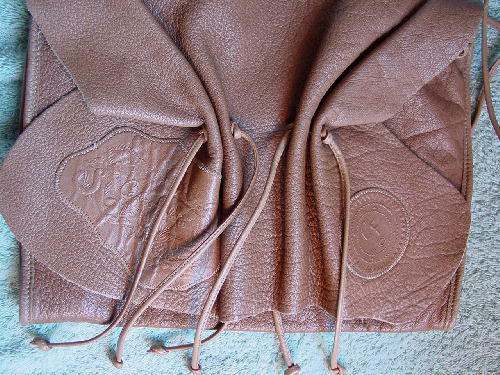 The front lid has two logo leather patches. 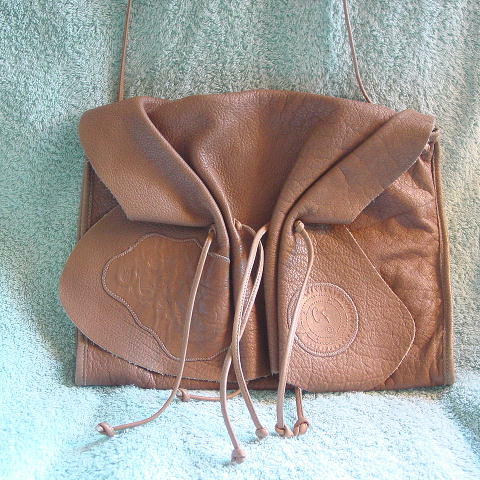 The interior is unlined, and it has a zipper pocket with finished leather on its exterior. The dark curved "mark" to the left of the tie alongside the CF patch is just a shadow. The lid on the interior left has some greenish marks.